How will Gen Z’s educated consumers impact food and grocery? Home / Company & Industry News / Posts / How will Gen Z’s educated consumers impact food and grocery? Generation Z is considered the most educated group of teens on the topics of health and wellness, but they are not letting related concerns impact their food and beverage choices yet, according to a new Hartman Group study. Most Gen Zers do much of their own food prep, and are comfortable in the kitchen, the study said. They tend to see cooking as an easily accessible life skill for anyone with an internet connection. The generation is the most diverse and connected in U.S. history, and this is expected to have a major impact on their food and lifestyle choices, the study says. This generation is defined in the study as people currently between ages 12 and 20. 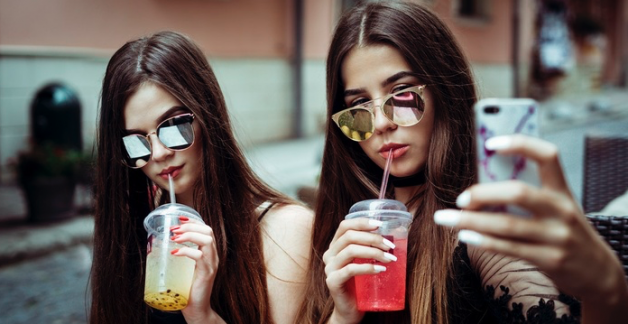 Millennials are a major disruptor of the retail industry and experts are wondering if Generation Z will follow in their footsteps or create a path of their own. Known to be the most diverse, independent, politically and socially aware set of consumers, Gen Z is expected to demand even more from retailers and brands. With the oldest members of Generation Z just entering their 20s and the youngest being 12, most are still relying on their parents to purchase their groceries. Their shopping and eating habits may be more reflective of teenagers in general than their specific generation. Generation Z grew up with parents who instilled healthy eating at a young age and classrooms that emphasized the importance of wellness. They grew up to expect brands to provide more than just clean foods. Gen Z sees food as a form of self-expression. They are looking for brands that connect with them on a personal level, and big brands may have a hard time offering that as easily as smaller brands. That’s why small brands that value authenticity tend to do better with this generation. internet and mobile phones and they tend to be connected to food through their phones. Clickable recipes could be a winner for this generation. Even though they are comfortable in the kitchen, Gen Zers may not use many of the tools there. Another study by the NPD group says that 58% of the meals they make don’t use any appliances — so it’s not surprising they may prefer snacking over meals. With the rise of better-for-you snacks and beverages, Gen Zers prefer plant-based beef alternatives, ramen, yogurt, sparkling water like LaCroix and frozen ethnic foods. The study says they are most likely to shop in convenience stores and use vending machines. To respond to these demands, retailers like Walmart have opened c-stores, and grocers like Hy-Vee have opened small-scale stores that offer healthy options. So far, Gen Zers don’t have as much brand loyalty as previous generations — which could lead to the demise of loyalty programs that are so important to millennials. Like millennials, however, Gen Zers prioritize fast and frictionless transactions. Retailers are working on perfecting their same-day delivery, curbside pickup, and mobile checkout options before this generation flood grocery stores. Kroger recently announced it is piloting its automated grocery pickup in Arizona and Walmart has partnered with Waymo to test autonomous vehicle service as well. Many grocers now offer curbside pickup but most recently, Aldi, Whole Foods, and Publix have added this to their portfolio. And Walmart is testing an automated grocery pickup kiosk to make shopping easier and ultra-convenient. As an up-and-coming generation, Gen Zers are the focus of several consumer studies — and not all of them have the same conclusions. An NPD Group study found Gen Zers prefer shopping in brick-and-mortar stores because they value the hands-on experience. However, work can be done on both the digital and physical store. If grocers work on perfecting the digital experience, it could drive the techy Gen Z group to sites, apps and stores.